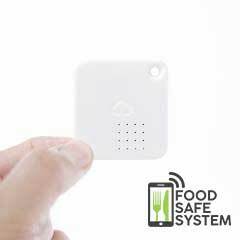 With Food Safe System you Spend less time filling out paperwork. Giving you and your staff more time to focus on your business. Food Safe System can reduce your staffing needs overall and give up to a 2.5% reduction in your wage bill. Giving you a minimum £3,000 per year saving. A reduction in food waste. 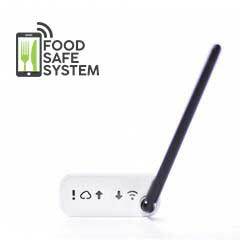 With our wireless temperature monitoring, Food Safe System reduces food waste due to faulty equipment, human error, or power failures by alerting you if fridge or freezer temperatures rise to an unsafe level, giving you plenty of time to rectify the problems. Maintain an excellent food hygiene rating. To drive up food safety standards and reduce food poisoning incidences more and more countries are introducing food hygiene ratings for establishments that prepare and serve food. A large part of that score can depend on the proper safety (HACCP) procedures being put in place and adhered to, digital records prove your commitment and adherence to those standards. Incomplete, inaccurate or a lack of records of food safety checks will result in a reduction of your food safety rating and research has shown that a medium to negative hygiene rating can result in a 21% drop in turnover. A medium to negative hygiene rating can result in a 21% drop in turnover. Cost of a food safety audit. As the owner/manager of the business, it is your responsibility to ensure food safety checks are carried out periodically and properly, this involves checking all paperwork is properly filled out and identified issues are dealt with. With a paper-based system this can take up to one hour per week of management time at a cost of £1300 per year per outlet, this cost is multiplied when multiple outlets are involved. With our online interface, these checks now take minutes with all outlets records accessed and verified from one place. 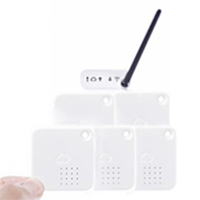 A saving of £1300 per year per outlet, this cost is multiplied for multiple outlets are involved. Cost of a Food Safety Incident. 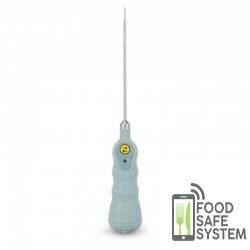 Almost all food establishments will experience at least one food safety scare, justified or not. This can be a worrying event and paper-based records offer little protection on the event of a food safety scare. If a food safety incident is proven the fines can be significant. Typical costs are a £2,500 council fine for each breach of safety code, e.g no hot running water available. Court fines of £35,000+ for each case of food poisoning. The possibility of business closure. Food Safe System is designed exclusively for food handing businesses. Saving you money, time and your reputation by making Food Safety and HACCP compliance paperless, easy and secure. Try Food Safe System, on us, for 14 days.